As my first Bellbird quilt found a new home, I need to replace it for our upcoming exhibition! This time I’ve decided to use text from the lines I’m depicting in poem as the backdrop. 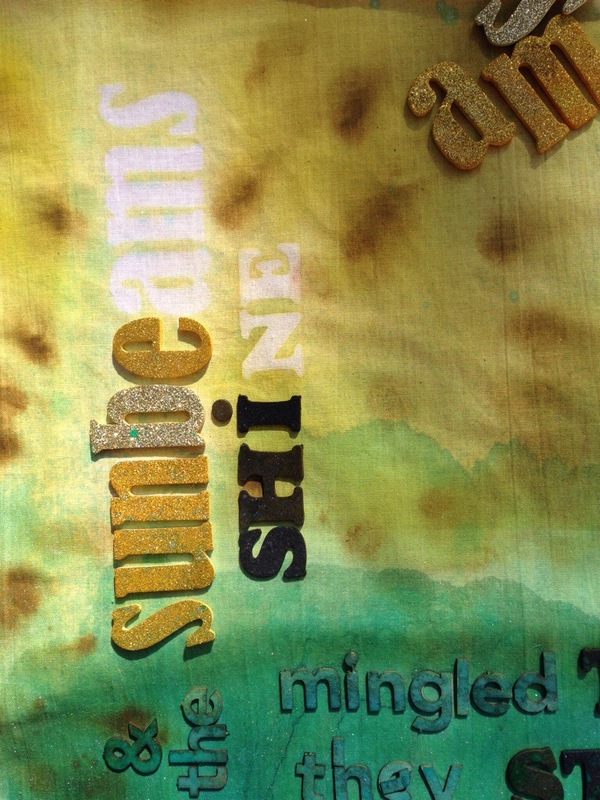 Scrap booking letters make great resists for sundying! They are cheap, and the foam ones with the adhesive on the back, stay put in the wind, and if stored back on the paper they came on, can be used over and over! This entry was posted in Bellbirds, Challenge, Sundye, Technique, Textile Art and tagged acrylic inks, Art quilt, Reddy Arts, Stolen Quilt, Sun Dye. Bookmark the permalink. 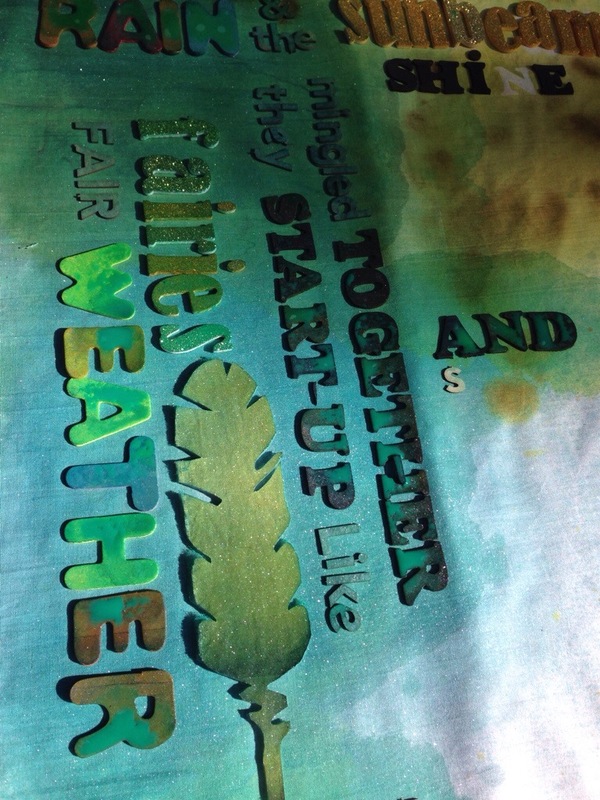 Thanks for sharing – its great to learn a new way to get words on to fabric – I hadn’t considered sundying them in before. Thanks, it was a bit of fun too. In some spots i oversprayed with Acrylic Inks which also react with the sun.